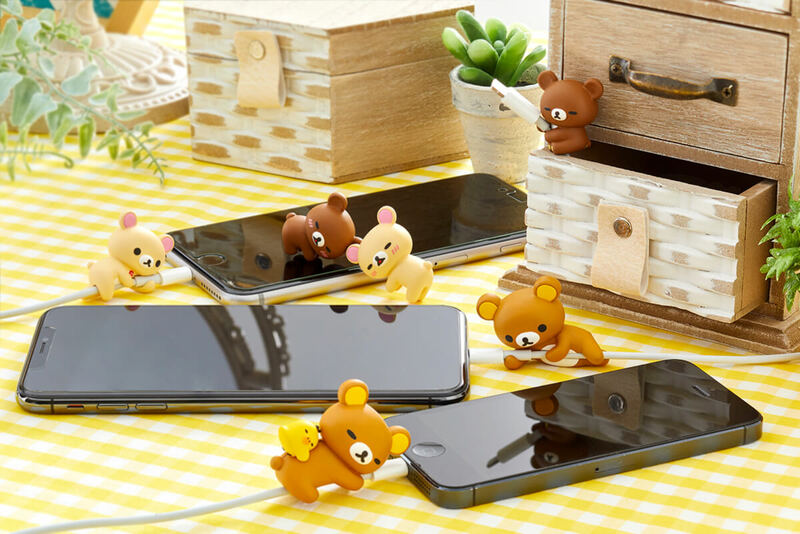 “Rilakkuma Suya Suya☆On the Cable” is a new product being released by Toy company Blind Box this May. Cable-hugging toys are a popular item in Japan. They solve a problem that iPhone users face with their cable disconnecting making them unable to charge their phones. Not only do they ensure your cable stays in, it’s a fun way to decorate your cable and make it look cute. These sleepy Rilakkuma huggers are the fourth collection in the series. The box comes with five designs: a relaxed version of the classic Rilakkuma, a cute Rilakkuma and Kiiroitori which will make you want to fall asleep by just looking at them, an adorable Korilakkuma which despite being small fits nice and snug around your cable, a cool looking Chairoikoguma, and the sleepy Korilakkuma and Chairoikoguma duo. Don’t miss out on these super cute and convenient items!